My name is Robert Register. I live in Northport across the river from Tuscaloosa and I grew up in Dothan. 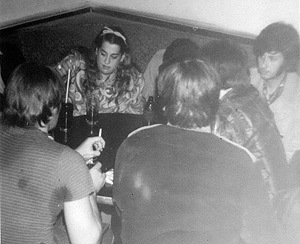 I never missed a dance at the Rec Center in the mid-Sixties. I have started a bunch of blogs which I wish you would take a few minutes and look over. I am very interested in financing a Dothan Rock 'N Roll mural in downtown Dothan and I have talked to people on the committee but it's basically a money thing. 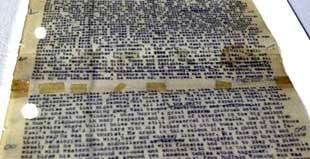 Please check out my blogs and the attached material. I would love to hear from you. This is my first blog and for the past nine months, I have dedicated it to Southern Rock. This is about traveling to look at rock 'n roll landmarks. This is about the idiots who are employed at our state universities. This is a play about a white biology teacher teaching in an all black inner city school. This is about a mad scientist who eliminates growth control in reptiles. Click here to hear Wilbur sing "24 Hours of Loneliness"
Opened my gmail account today so as soon as I can figure out how to import all of your addresses, I'll be needling ya'll via the latest- Gmail!!!!! By the way send me your mailing address. I'd like to send you a copy of a photo that Jimmy Dean sent me of Beaverteeth outside The Bitter End http://www.bitterend.com/photos.html with B.J.Thomas http://members.aol.com/Sing4usBJT/BJThomas.html . Man we had a blast! have no problem with that). 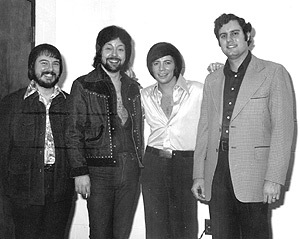 "The guy on the right is John Stroll,a studio musician from New York,who left to go work with Barry Manilow. We told him things like "why would you leave a good gig to go play with a guy who had 1 hit?" The lovely Jimmy Dean called me last night (I told him I had to get up @ 5:30 to catch a plane but he kept on talkin') and he told me that he would e-mail you a copy of the photo I was talking about. Let me know if the weasel, er, Jimmy sends it and I'll identify the people in it for you. [mo' from Rockin' Rodney,"Nick De Noia wasn't really a sound and light guy but a choreographer who later married Jennifer O'Neal and founded "The Chippendales"
pretending to work for a living. I have a number of photos of the early Allmans...ie. Duane, Gregg, various bass players & myself in '66 - '67, plus recordings never heard before by anyone but my family...a live performance in Nashville (several sets) mainly made up of cover tunes by artists from Little Anthony to The Yardbirds...also have some early four (4) track "first" studio recordings...think this material would be of interest to anyone? I'm gonna try and contact Gregg, since he and I are the only two remaining living members of this time period, to see if he would like to help me on this...I don't think that he remembers that this stuff exists. This is Duane & Gregg at their best during the "cover material touring club circuit!" Addendum: There have been several albums released in the past years that I played drums on with Duane & Gregg, but each one credits another drummer...I want to get the record straight for my sons!! How does this stuff happen? I played on several tunes on the "Dreams" album http://zebro.everperfect.com/allman/disc/dreams.htm , but someone else was credited....same with the "Early Allmans" album. Can you help me get the record straight...not for me as so much for my sons? I don't need anyone to approve or give license to this collection of material that I have, but would love to talk to anyone that might be interested in adding an addition to the project...I just wanted to know from your contacts if all these old pics and tapes would be appealing to an audience that might enjoy seeing these images and hearing these historic recordings. Gregg can be involved or not...I love him to death & would love for him to be included in this project, but he's had the opportunity to get with me on this for years & I haven't heard a word from him.!. Relay to him that I'm still here with a wealth of Allman Joy material. I know that he loves his brother, Duane, and I would hope that he would like to share The Allman Joys early performances with all those that love Gregg & Duanes's performances in the 1960's. Gregg and I can do it together, or I'll continue on my own. WE NOT GETTING ANY YOUNGER! Randy Poe here. I think the people you might want to talk to are Kirk West and Bert Holman - along with Gregg, of course, if he's reachable. (Gregg just fired his business manager a couple of weeks ago. Until then, he would've been the perfect person to talk to.) I can hook you up with Kirk and/or Bert. They were called the Swedish Beatles, they included Benny Andersson and occasionally Bjorn Ulvaeus, the songwriting half of ABBA, and they were big Beach Boys fans! This album, released in 1968, has a soft rock sound, and features songs also recorded by The Association, Sagittarius, Millennium, Ballroom ..... These artists, while generally unsuccessful at the time of their original release, are now regarded as having been highly innovative. This release featured 12 bonus tracks. Angående låten 'Hope' på LP:n It's Been A Long Long Time (se diskografin i Benny's Road To ABBA, sid 276). Låten spelades inte in först av The Hep Stars; originalet gjordes troligen av den amerikanska gruppen The Candymen. John Rainey Adkins, som skrev 'Hope' tillsammans med Buddy Buie, var medlem i gruppen. The Candymens originalversion av låten ingick på deras självbetitlade album, utgivet i november 1967. 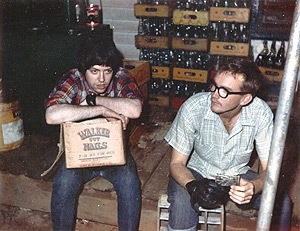 Adkins och sångaren i The Candymen, Rodney Justo, var senare medlemmar i Beaverteeth, som spelade in en version av 'Hope' 1977 (vilket nämns i diskografin). (IN ENGLISH) Regarding the song 'Hope' on the It's Been A Long Long Time album (see the discography in Benny's Road To ABBA, page 276). 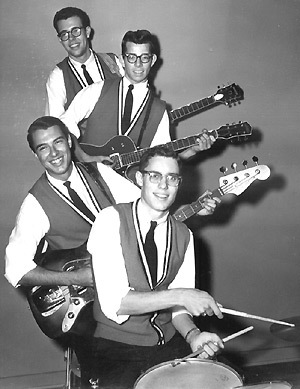 The Hep Stars were not the first band to record the song; that honour apparently went to the American band The Candymen. 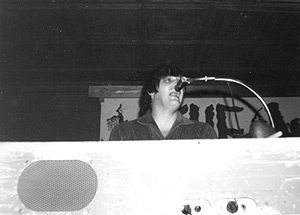 John Rainey Adkins, who wrote 'Hope' together with Buddy Buie, was a member of The Candymen. The song was included on their eponymous album, released in 1967. 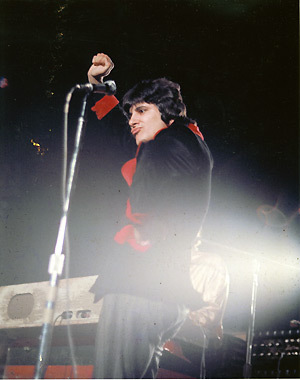 Adkins and Candymen lead vocalist Rodney Justo were later members of Beaverteeth, who recorded a version of 'Hope' in 1977 (this is mentioned in the discography). Greg Haynes continues to excell with his website. PLEASE VISIT IT TODAY! Check out all the new photos plus all of Rodger Johnson's shots of THE CANDYMEN! 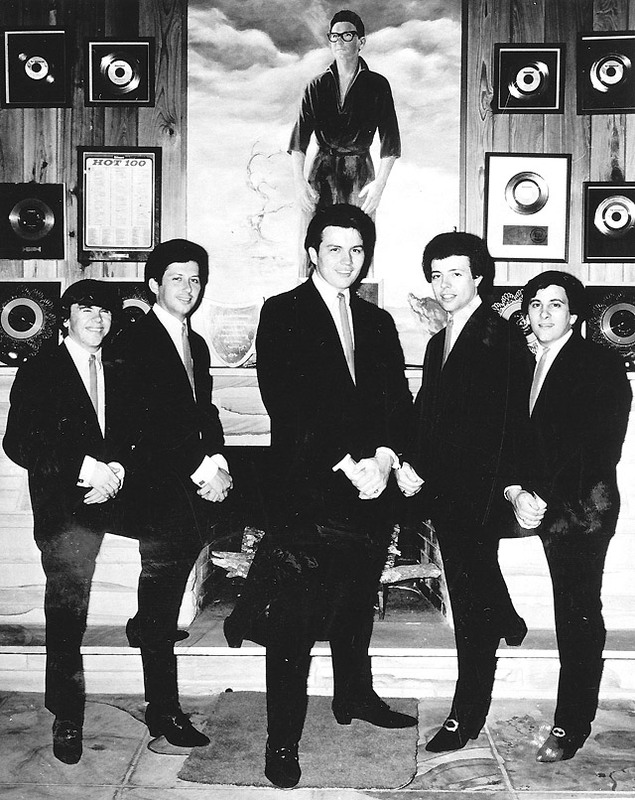 Bobby Peterson, Billy Gilmore, Bob Nix, John Rainey Adkins and Rockin' Rodney Justo at Roy Orbison's house before it tragically burned killing two of Roy's sons. John Rainey Adkins and Rodger Johnson on the road! 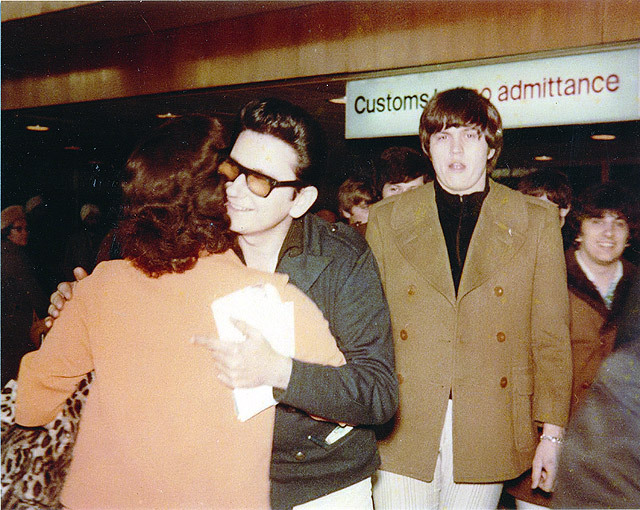 ROY ORBISON AND THE CANDYMEN arriving at London's Heathrow airport. Wilbur Walton Jr. & The James Gang performing at Ft. Brandon Armory in Tuscaloosa. I really don't know if tonight I can muster the words to appropriately express to all of you how much your kind words and thoughtfulness have meant to my family and me this past week. In addition to the emailed condolenses and support, many other dear friends continued calling in from everywhere, and I am so sad that I do not have most of their addresses to communicate to them my appreciation for their loving words also. One never really knows how much a person has contributed to this life until we have to finally say goodbye. His father died during the depression, and he had to work in his early teens to get my grandmother and himself through those very trying times. Nevertheless, he studied hard enough in school to be accepted to The University of Alabama at the age of 15. He excelled as a big band leader, violinist, and upright bass player before he answered the call to serve his country which included landing at Normandy and surviving his way all the way to Germany. Major Albert Braxton Connell was a soldier and patriot who sacrificed all but his life to assist the freeing of Europe, but he NEVER mentioned a word about any of his constant tribulations or multiple wounds during World War II. He was a civic leader, a humanitarian, a loving husband, father and grandfather, not to mention a joy and inspriration to everyone who met him. . The U.S. Army sent one of the most impressive units that any of us had ever witnessed at a military service. The very moving moment for me was when I realized that taps was being played, not by the bugler from the Army, but one of the trumpet players who played with "Al Connell's Rhythm Lads" in the 1930's. After the Army's impressive precision folding of the flag, which two of the soldiers lifted from atop his coffin, the Officer in Charge presented it to our step mother/grandmother; but as my sons and I helped her to the vehicle she was to leave in, she handed the flag to my sons and said, "Your grandfather wanted you to have this." There couldn't have been a more moving or fitting end for all of us that glorious day that he finally was relieved of the dreadful Alzheimer's disease. "To be fair, Columbus was never a head of state. Comparisons of him to Nazi SS leader Heinrich Himmler, rather than Hitler, are therefore more accurate and appropriate." Of course I remember Frank, although I can't say that I could pick him out of a lineup almost 35 years later. I think that they recorded "Georgia Pines","Happy Tonight",and another original song at that session. I remember John Rainey,David and I commenting how Charley sounded a little "dated" on the third song.